The operator of the Highland steam train made famous by the Harry Potter films is to stand trial next month for an alleged safety breach involving one of its locomotives. 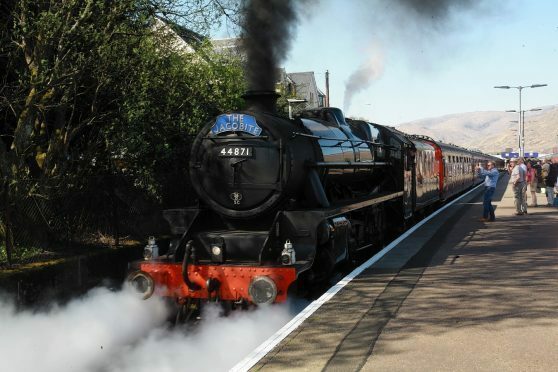 The case against West Coast Railways (WCR), which runs the popular Jacobite service between Fort William and Mallaig in Lochaber, has been brought by industry watchdog the Office of Rail and Road (ORR). It launched criminal proceedings against the company and its driver, alleging breaches of health and safety law which led to a train passing a signal warning on March 7 near Wootton Bassett in Wiltshire. And a date has now been set for the trial at Swindon Crown Court, which is due to start on Monday June 27. The driver faces charges relating to “alleged intentional misuse of the train protection and warning system”. And the railways watchdog claims the driver “directed a colleague to turn off this essential safety system”, that applies an emergency brake in the event of driver error. WCR also faces additional charges under health and safety laws for alleged failure to implement managerial controls, procedures, training and monitoring to prevent staff turning off the safety equipment. The Jacobite steam train has been attracting thousands of Harry Potter fans to the Highlands every year since it appeared as the Hogwarts Express in the highly successful movies. There had been fears that it would be unable to run this year when the ORR imposed a prohibition notice on the company in February. The notice, which related to concerns about WCR’s safety management including the alleged incident in Wiltshire, was lifted the following month after the regulators were satisfied the company had taken “all the necessary steps” to address its concerns. And the season began on May 9 as planned. A WCR spokesman said the company deeply regretted the incident at Wootton Bassett. He said: “This was an isolated case in our 25 years of running charters. “Measures have been implemented to ensure such a thing can’t happen again and, although no one was injured, WCR fully acknowledges the seriousness and fully supports the authorities in connection with this case.